Here was a clear case of hidden in plain sight. Indeed, on reflection, the signs couldn’t have been clearer. I remember hearing of exciting new hops from a colleague who was really excited about the potential of new varieties for new beers in our innovation programme. What if we brewed a single hop beer with Nelson Sauvin? 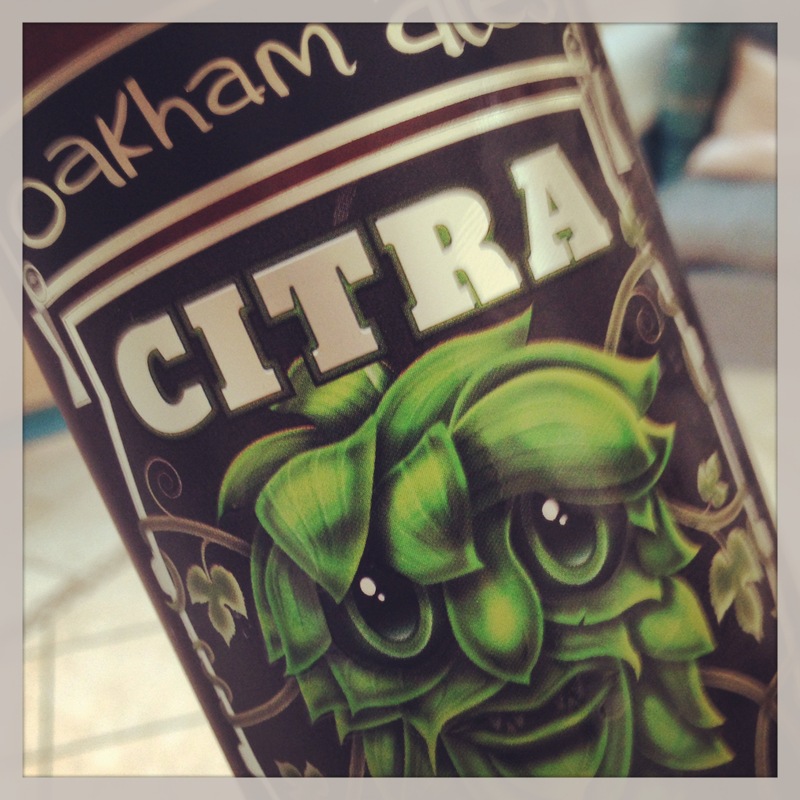 Or with Citra? 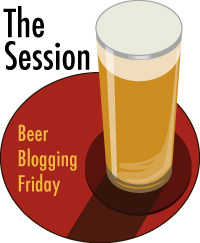 Or maybe a combination of the two – dry hopping with Citra perhaps? It was 2009, yet despite of people wearing their metaphorical day-glo suits near me and waving semaphore flags right in front of my face I didn’t pick up on them. There were other priorities; other pressing matters; the business wasn’t ready for this sort of innovation. Nature has a tendency to be persistent though and like a weed pushing through cracked mortar in order to reach light and life so these new hops have steadily, surely, forced themselves into my consciousness. And my own re-emergence into the world of artisan beers has made it easier for them to finally hit home. I’d heard about Oakham Ales through a roundabout source; a cider maker looking for some business advice used them as benchmark for what he regarded as a quality operation. It was their beer ‘Citra’ apparently; that was the tipping point; the point of inflection, the thing that pushed them over the edge towards greatness. My friend Steve mentioned it too: it was a grand beer, which had been surprisingly and pleasingly encountered on the shelves of B&M whilst out on the hunt for stationery and discount fat balls. Later, I found it, lurking, furtively on the top shelf of a Waitrose. A classic case of impulse purchasing this: I went out of my way to that particular store to get a new brand of fruit tea I had helped develop (Price: £2.89) and left 45 minutes on, fully signed up with a ‘My Waitrose’ card, and an aesthetically pleasing basket of expensive comestibles (Total bill: £24.14). This beer had better be bloody good, I told myself. And my; it certainly is. For a little brewery from the smallest of counties, this is a mighty beer. It’s a single hop pale ale and pale it truly is; Pilsner-like I’d say. But it’s the aroma that hits you first – lever off the crown and there it is. The beer might be a straw-lemon colour but the smell is grapefruit and gooseberry and it fair races out to greet you. It pours with a lithe, white head that billows to formation and leaves subtle tracery down the glass. And all this sensory overload continues; a swirl of the glass reawakens the aroma; there’s an assertive but balanced bitterness all the way through from foretaste to aftertaste and all the while that pronounced fruitiness: a dryness in the beer that suggests to me brushing against a gooseberry bush when you are picking them; there’s the fruit and that green-leaf character which is so moreish, so appetising. For once, the hype was right; here is a characterful beer, one that refreshes and rewards, that balances hop intensity with easy drinkability. I won’t miss those signs next time. As my bank of memories grows, so I find myself experiencing moments of involuntary recall. Tiny cues can stir up vivid recollection, just like Marcel Proust and his tea soaked madeleine cake, prompting memories of his aunt’s home during his childhood. Sometimes these are powerful personal memories, connecting me to a time and place – the caw of a crow, an oily chain, or an early evening afterglow behind a stand of trees. More typically they are far more prosaic – and one, bizarrely, concerns rye. Specifically, it concerns rye bread: not the crusty, spicy loaves you get at a good bakers nowadays, but the German squares; tight plastic packed in brick like solidity. I first really tried them at a friend’s in Stuttgart – her family had pumpernickel every morning as part of the breakfast routine, sliced thinly like crushed soldiers, but topped with hams, cheese or pickles rather than dipped in egg. I liked the routine. I liked the rye bread. Still do, but it doesn’t form part of my rituals except on holiday when I tend to buy it as the most interesting bread on offer. But the rye bread doesn’t take me back to Stuttgart; it takes me back to somewhere further east, the town of Regensburg on the Bavarian Danube. It’s a beautiful UNESCO protected town, mercifully spared from Allied Bombing for the most part. There, a few years back, I stayed for a couple of nights, toured a few breweries and ate local delicacies: Regensburger Würstl, fine but chunky pork sausages, halved lengthways, cooked over charcoal and served with onions and tangy mustard. Dampfnudeln too, soft bread rolls that made a lovely, moist sausage butty and reminded me of Manchester barm cakes but done Bayern style. And all washed down with roggen – rye beer. I don’t think roggen is a Regensburg thing necessarily – certainly rye is used widely in other beer brewing countries: in fact I remember being on a bit of a wheat beer phase at the time, searching for both hefe- and Dunkelweisses; but the roggen was new to me; in fact it was my first experience of a rye beer at all. So it happened to pass that the roggen, the würstl and the dampfnudeln make up my rye ‘madeleine moment’; a beer garden parallel to the the Danube overgrown by vines and starlight clematis; a warm evening with the smell of charcoal & pork skin, Herr Ober, good food and glisteningly dark glasses of roggen beer. Two recent prompts caused that Danube beer garden to return. One was seeing – and trying – a bottle of the very beer we drank that evening, Thurn und Taxis Roggen. 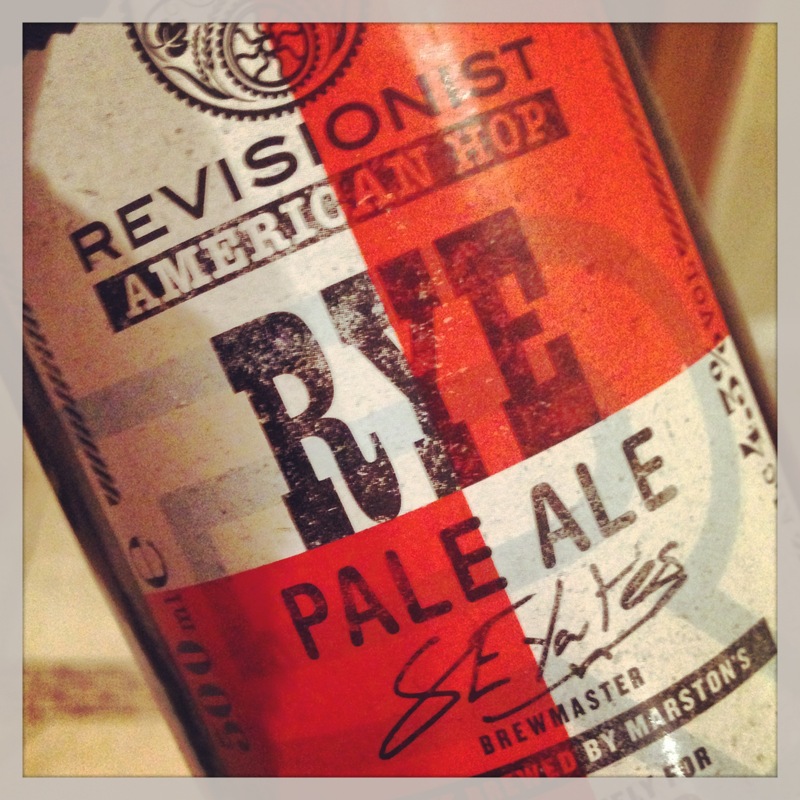 The other was a beer from much closer to home, Marston’s ‘Revisionist’ Rye Pale Ale. Thurn und Taxis was one of the Bavarian Royal breweries, although since I was there, it has ceased its own brewing and contracts out to Paulaner, who in turn, are part of the Heineken / Brau Union combo. Sad that, as the brewery was in a palace and was incredibly picturesque. And sad too that the beer was a shadow of my shadowy memory of it: that memory is of a spicy, bananary, clovey beer (but not a wheat beer) with a thick off-white head and a ruddy luminescence. Today’s version is thinner; less pronounced in every sense, less bold, more…. ordinary; more… brown. I didn’t finish it, for my memory’s sake. The Revisionist Rye is a different kettle of fish. For a start it’s a top fermenting pale ale; 4.3%, and Marston’s are promoting the hop as much as the rye, including dry hopping with Amarillo and Citra. Yet, in truth, it was something of a disappointment: don’t get me a wrong, it’s a good beer, I enjoyed it. But really, the only touches of rye could be seen in its colour, a slightly more reddy-brown than a pale ale and a faint spiciness (allspice?) – but faint is the word. As you’d expect, the hops shone through, particularly the citra lending the beer a grapefruity edge with a pleasingly mouth-puckering finish. The beer is dry hopped – you could tell from the moment the crown was cracked. But no aroma of rye; no wry smile. Perhaps my Regensburg beer memory is best left in a glass case after all. In Western Europe and North America breweries are opening again at a tremendous rate. There are more breweries now in the U.S. than there were before Prohibition in 1919; there are more breweries in the U.K now since about the same. Countries traditionally more focused on the vine than the bine are now tooling up and building breweries, with craft beer in healthy growth in countries such as France, Spain and Italy. Yet until recently, over half of the World’s breweries – the World’s breweries – were in one country. You don’t need me to tell you which, I’m sure. Not only was Germany easily the most breweried nation, over 50% of those breweries were in just one State, Bavaria. And whilst we tend to associate Bavaria with Munich, the most heavily breweried part is further north, a band of rolling, rich agricultural land called Franconia. Indeed, it is said (although not officially measure or recorded) that it isn’t the Czechs who drink the most beer per head, but the Franks. It’s probably true. The region is peppered with breweries, from Nurenburg in the east to the traditional wine lands of Wurzburg in the west. From large, industrial breweries now part of national or multinational chains, to farmhouse breweries operated as co-operatives by village residents. It is a beer dreamland; the royal palace of beer. And the crown jewel is Bamberg. I have written of Bamberg before. Go there. Even long suffering partners will not complain when they see this medieval peach of a town. If needs must, passing off visiting the numerous beer halls as essential cultural, tourist-trail immersions should be a relatively straightforward strategy. But for wine lovers, one brewery in particular may be a step too far. For Bamberg is known in particular for brewing one speciality, one style of beer utterly uncompromising in flavour. Like Lambics in Belgium, it is a style of beer that will transport you back to a distant past; of primitive brewing technologies, an age of agriculture and beer as subsistence not savouring. The beer is rauchbier. Smoke beer. Open a bottle of rauchbier and you don’t get the aromas of malt or hops – well, not initially at least. Rather, these are the aromas of smoked meat or smoked salmon. A campfire, with damp kindling is brought to mind, woodsmoke drifting lazily through the sluggish early Autumn air. The aromas come from smoked malt, kilned most typically over beechwood, the benefit, it is generally believed, was to enhance the keeping qualities of the beer but more likely, it was a taste acquired when many foods were preserved with smoke. 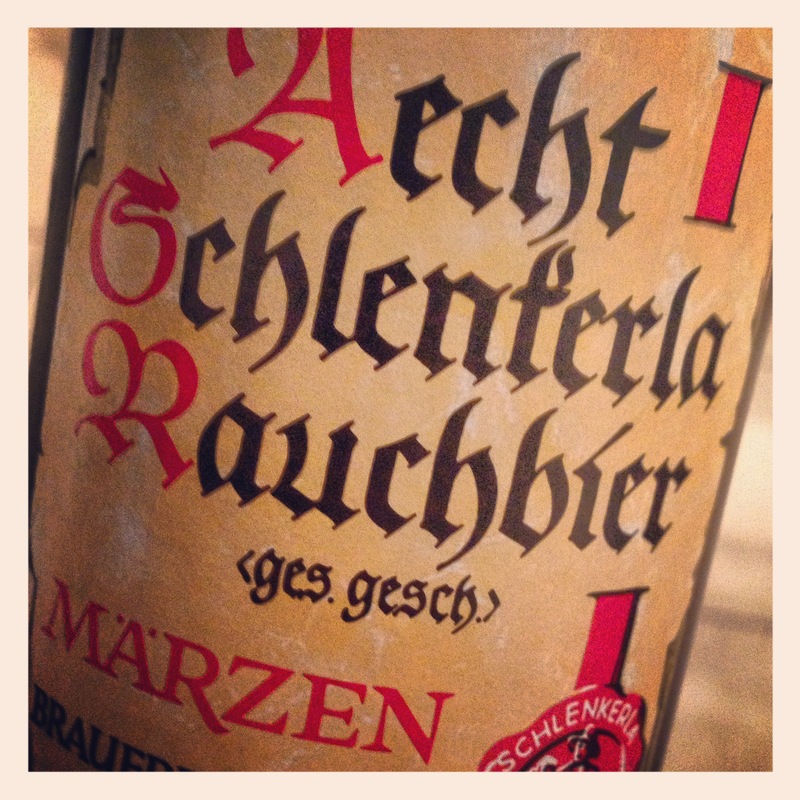 A natural partner: spicy, smoked German sausage, or deliciously oily smoked eel perhaps, washed down with a rauchbier. These are not beers for the faint-hearted. Once, in a bar in Leith – the Pond – I spotted a bottle of Bamberg’s most famous rauchbier from the Heller brewery in the fridge. I ordered a bottle and let an inquisitive colleague stick his nose in. He recoiled, aghast: “Peperami!” he spat. “You can’t drink that!”. That was the beer I first encountered in Bamberg many years ago. It wasn’t a chance encounter – we, my brother and I, went in search of it. The Heller Brewery is tiny in global terms, but big in the town. It’s the bar against which other rauchbiers are measured and their bar serves rauchbier in large measures. The brewery itself has a wonderful tap & restaurant, with dishes paired to go with their beer. And that beer is Aecht Schlenkerla Rauchbier. 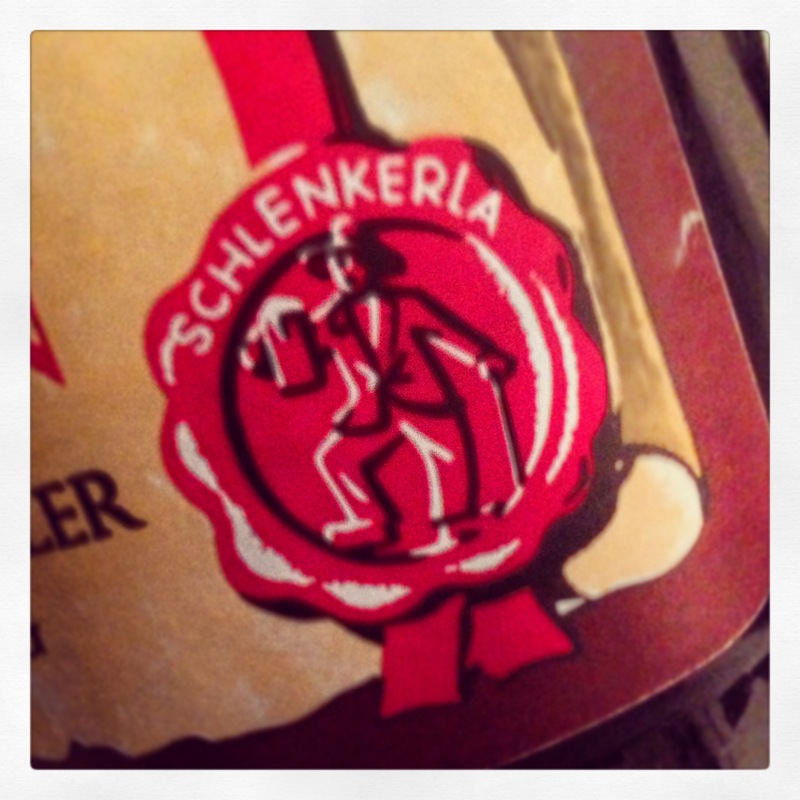 Genuine Schlenkerla smoke beer. It is baroque. No, medieval is better – even the bottle label seems smoked stained. The typography is illegibly Germanic. The bottle shape, chunky, straightforward, utilitarian. Everything about it says ‘what is inside is important’. Yet there are surprises. For such a full-on flavour fest, this is a lagered beer. Not, obviously in the Bavarian helles style, this is a dunkel lager – a stronger Märzen in fact. And as it proclaims on the label: “Dem Bayerische Reinheitsgebot entsprechend gebrautes” This is a beer authentically brewed according to the Bavarian Purity Law – no funny business to deliver that smoky flavour; just malt, hops and water. And all this makes sense. Because Schlenkerla drinks counter-intuitively. Everything about the bottle says heavy, intense, challenging. The aroma on opening the bottle and pouring the beer strengthens this views; the first sip taking it further. Yet wait. Go beyond what your mind is telling you and drink. Breathe. For a powerful beer, this isn’t overpowering. The smoke is mainly in the head, captured in the cells between the bubbles. The liquid is softer; a digestive-like maltiness is there, some gentle warming alcohol esters and most surprisingly, little bitterness. The flavour in fact fades quite quickly. It is a remarkably drinkable beer. More than that, it is an evocative beer. A beer that takes you back to a place. Even if you haven’t been to Bamberg, Schlenkerla takes you back in time. To steep gabled, half timbered, medieval streets maybe. And certainly, to a taste of how beer once was that we have now almost forgotten.